Farewells can be a really depressing subject. Leaving behind all the friends you’ve known and memories behind to start a new chapter is as exciting as it is sad. If you’re planning a farewell party for someone leaving, then you’d want their friends to come see them off. 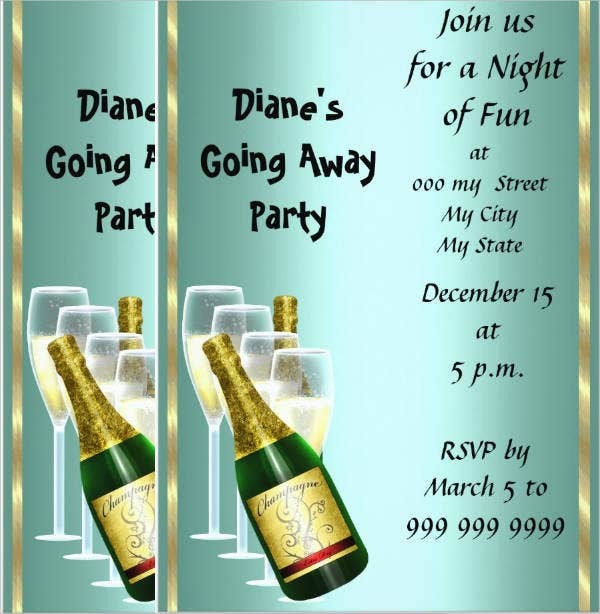 Use these farewell party invitations to let them know that there’s a party being held for the person leaving. It’ll be a more special and memorable occasion if everyone is there. If you’re curious about invitation templates, you can dive into more Invitation Templates available to download on our website. Whether it’s merely someone retiring from the job or something as big as someone moving to another city, goodbyes are always a tear-jerking moment. Nobody wants to leave without saying goodbye. 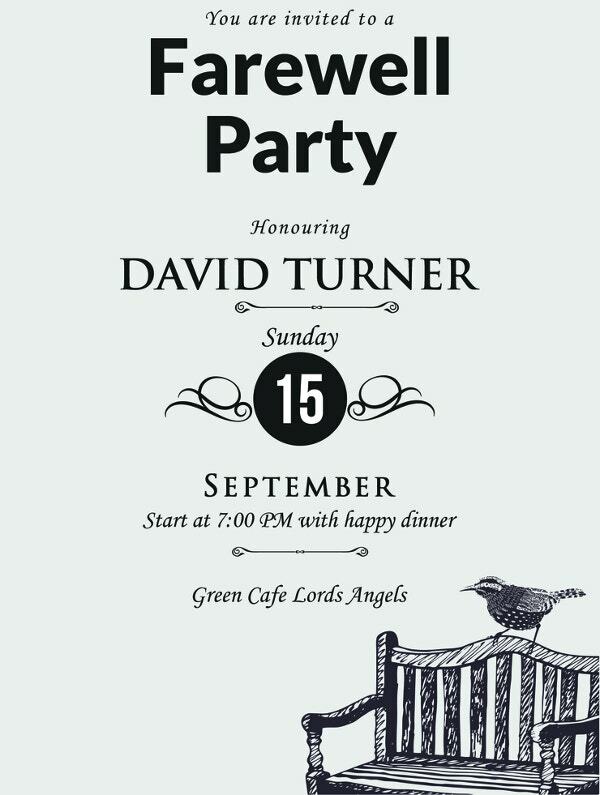 These invitations can bring people together for one last celebration before the person’s departure. 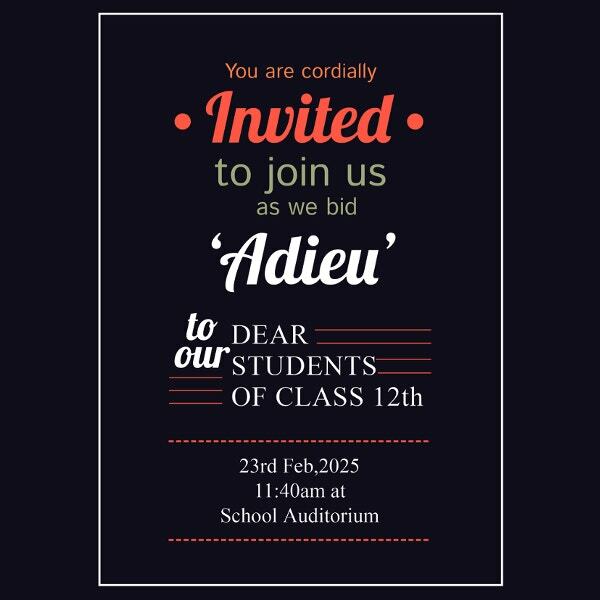 Although giving away Farewell Party Invitations can feel a little sad when you’re doing it, it does mark the fact that somebody may no longer be in your life anymore, after all. It is still worth going through all the trouble of having someone feel cherished and happy when they see everyone of their friends coming over to see them off. 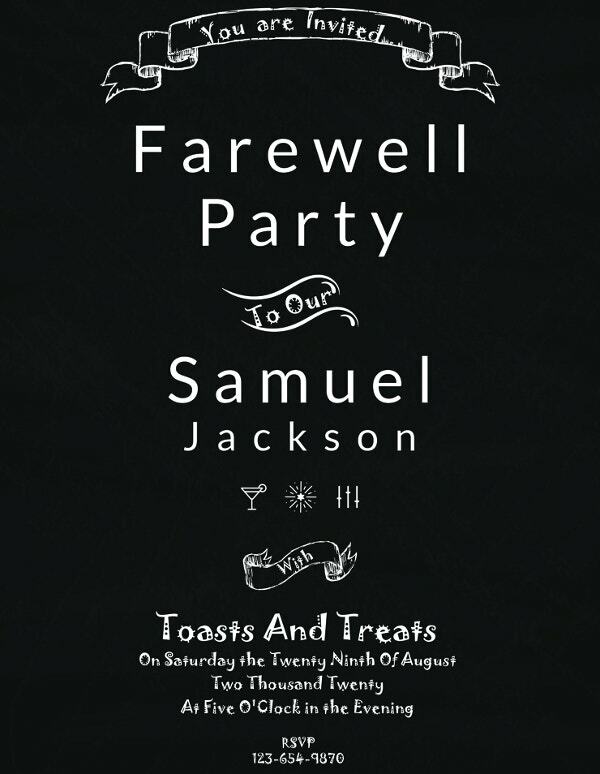 These farewell party invites can really set the mood for when one of your friends has to go off. Their design can make it clear to the recipient that their presence within the party would really help the person who’s leaving feel all the more special. 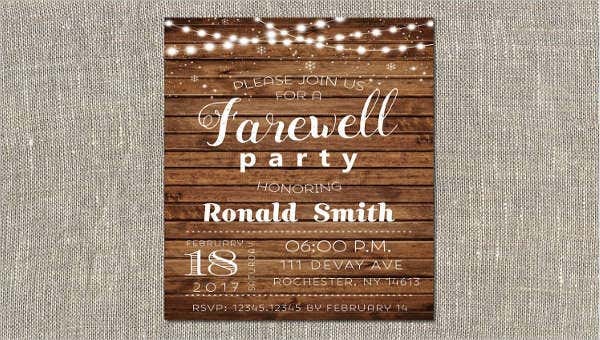 In short, these farewell party invitations are well designed enough to show to the recipient that you really care about this person as you put yourself through so much effort into giving such flashy cards away. 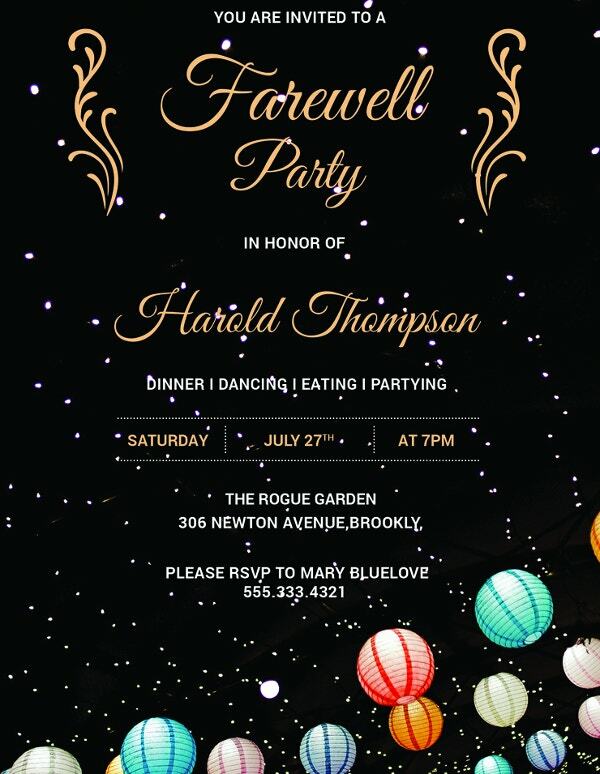 They’ll think that you really must have put effort into every aspect of this farewell party. Since you’re here looking through all these farewell party invitations, you must really care for the person leaving. These invites represent just how hard you’re willing to go through every aspect of someone’s farewell party. After all, the invitation cards are flashy enough. Going away. When someone is moving to another location, chances are, you’ll seldom be seeing them. These cards can give the message that the party is for someone moving away. Retirement. Coworkers are someone you see mostly everyday. Naturally, you’d be friends with them. When someone has finally hit the age mark and has decided to stop working, it’s time to send them off with one final party on their names. Vacation. 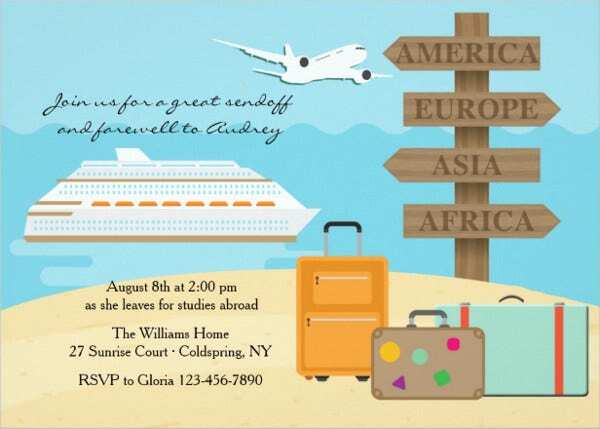 Even if it’s only for a few days or weeks, you can still design farewell party invitations for friends going on vacations. You can wish them a safe trip towards wherever they are going. So you see how useful these farewell invitation cards are? 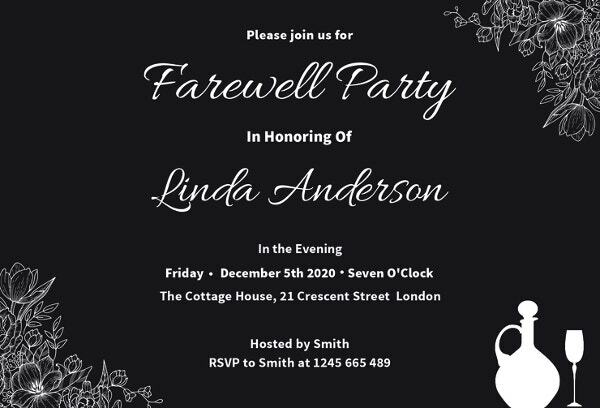 Hopefully, this list helped you find the best farewell party invites you can hand out to gather friends for that one person who is leaving. It really helps one feel special when they see all their friends came to see them. If you’re looking to dive deeper into these types of invites, then check out Farewell Potluck Invitations for more.